Below are some of our frequently asked questions.. If you don’t see your query below, Click Here to contact us and we will be happy to help. Central heating systems can build up sludge over time which can cause a noisy heating system. This magnetite sludge reduces efficiency, leading to noise and circulation problems. Your system may need to be power flushed and descaled to remove this naturally occurring corrosion. 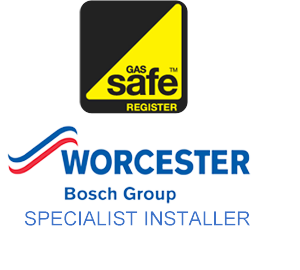 Without going into detail, all landlords and homeowners are legally responsible to make sure that all gas appliances and gas fired boilers in their property are safe and Gas Safety Certified. While there is no timeframe on the present requirements, it is wise to have all appliances and heating systems certified yearly. Certification consists of inspection to assure that all appliances are operating at the correct pressure, that there are no leaks and that all venting is functioning and in good condition. Our Gas Safety Certified engineers can carry out such an inspection. The most likely cause is a pump problem. Since the pump is a high voltage item, it is important to turn the power off right away, to prevent burn out, and then call a certified technician. Do not attempt to service or investigate the problem yourself. The most likely cause is a worn washer. Yes, there are washer less taps, but even these have leaks preventing parts that can wear out. leaking water with rags or buckets, to minimize the need for clean up and mop up any flood water. Ask yourself, “Where is my stopcock?” and then find out. You should always know where your stopcocks are.